Comcast Corporation today announced that D’Arcy F. Rudnay, the Company’s Chief Communications Officer, has been promoted from Senior Vice President of Comcast Corporation to Executive Vice President. D’Arcy is the first woman in the Company’s history to become a Corporate Executive Vice President. Following her promotion, D’Arcy will report jointly to Brian L. Roberts, Chairman and CEO, and David L. Cohen, Executive Vice President of Comcast. “D’Arcy is an extraordinary communications leader – I am constantly struck by her professionalism, her calm under pressure, and her ability to so expertly communicate our message with all of our audiences in this ever-changing media landscape,” Cohen said. As Chief Communications Officer, D’Arcy serves as communications counsel to the executive team and leads the management of the Company’s brand, reputation and strategic and financial communications to external audiences and to the Company’s 139,000 employees. D’Arcy helped to lead the communications strategy around the announcement of the $45 billion Time Warner Cable acquisition as well as the $30 billion NBCUniversal transaction in 2011 and the subsequent rebranding of the combined Company. D’Arcy is also an executive champion for the Women’s Network at Comcast, the Company’s largest employee resource group which focuses on career development and advancement for Comcast women. The Network has grown to more than 1,100 members. 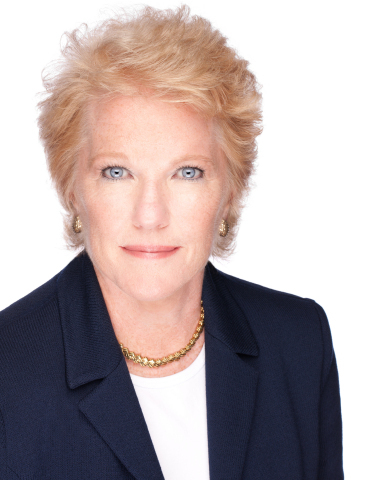 In her previous roles as Senior Vice President and Vice President of Corporate Communications, she also led the repositioning of Comcast following its acquisitions of AT&T Broadband and Adelphia. Prior to joining Comcast, D’Arcy spent nearly ten years in the financial services industry. At Lincoln Financial Group, D’Arcy served as Vice President of Corporate Communications and Media Relations and Vice President of the Lincoln Financial Group Foundation. At Advanta Corporation, she served as Vice President of Communications and Corporate Identity. Before Advanta Corporation, she worked in communications for The Pew Charitable Trusts and for strategic communications firms in Washington, D.C. In 2014, D’Arcy was inducted into the PR Week PR Hall of Fame and was named the nation’s top woman in PR as well as fourth on the list of “The 50 Most Powerful People in PR.” She has also been named among the “Most Powerful Women in Cable” for the past five years by CableFax magazine. She earned a master’s degree from The University of Pennsylvania and received her B.A. from Trinity College.